Sunrise on Mazama Ridge in Mt Rainier National Park. 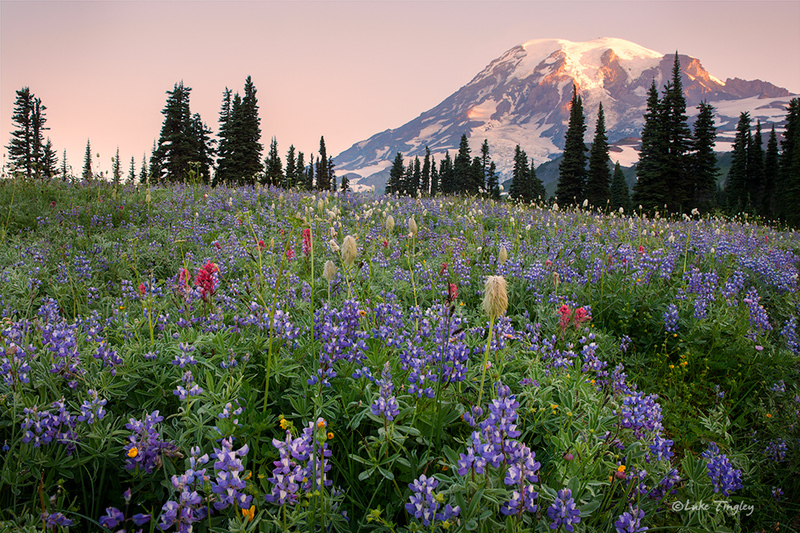 Lupines and Western Pasque flowers stretch across the meadow as first light hits Mt Rainier. Photo © copyright by Luke Tingley.